Monday is the 4th of July, so it&apos;s time for your annual reminder to not blow your fingers off on the 4th playing with fireworks. 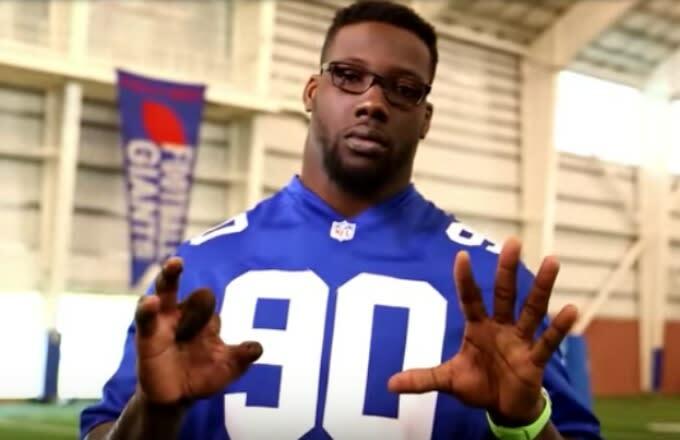 In order to help you remember that, Jason Pierre-Paul—who lost a part of his hand last July to a fireworks accident—recorded a PSA for the U.S. Consumer Product Safety Commission. As you can see in the video, Pierre-Paul talks to the U.S. CPSC chairman about the ordeal he went through around this time in 2015. "So on the 4th of July, I lit up a firework, thought I could throw it away real quick, in a split second it blew off my whole hand right there," he says as photos of his mangled hand are shown on the screen. "On the way to the hospital, all I could do was think about my son and why I want to make it. Now I&apos;m just truly, truly blessed to be alive." Keep fireworks away from kids. Seems simple enough, right? Disregard them at your own risk.